VaporAir is the lightest vest in the range of hydration packs provided by Nathan. Over the years, Nathan has shown that it is dedicated to enhancing our running experience with their innovative and high-quality products. One of the most important things to remember on long runs and treks is hydration. But carrying cumbersome bottles and water containers can badly influence your performance and ultimately, your enjoyment. 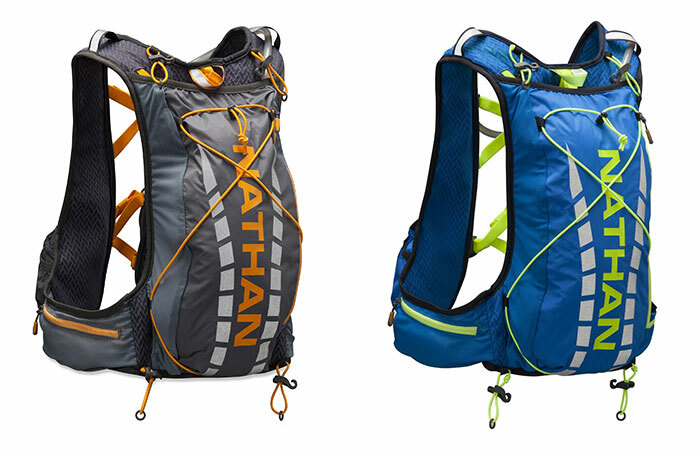 There are solutions to these difficulties in the form of various hydration packs, and Nathan packs are highly valued by the running crowd, and for good reason. Their high-end backpacks have been tried and tested in the harshest conditions and came through with flying colors. In this respect, the VaporAir is no different, other than the fact that it is 50% lighter than the other Nathan models. It weighs just 264 grams (with the empty bladder). The light weight has been achieved by using only ultra lightweight, super-breathable materials and body-mapping the VaporAir for maximum comfort. It is deliberately set at the top of your torso, resting the back hydration bladder between your shoulder blades. There are also four straps that ensure that the VaporAir adheres to your body like a second skin. All this minimizes movement and bouncing, not to mention chafing which can be a nuisance on long treks. The pack has a total storage capacity of 7 liters (including the 2-liter bladder on your back). The bladder has a quick release hose that is easily attached to the shoulder strap via magnet. 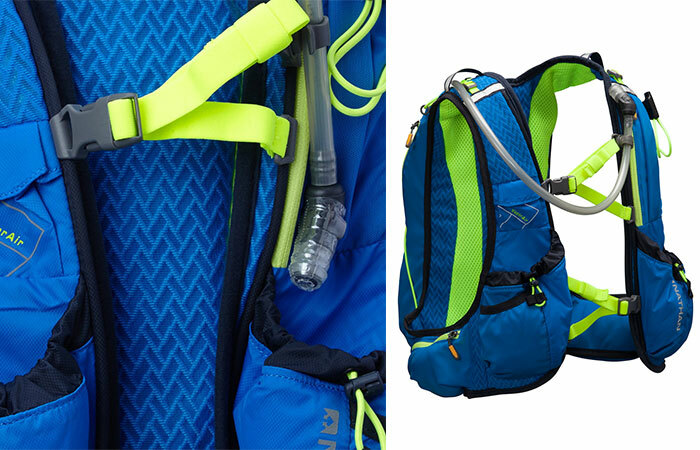 The hydration pack also has a number of front, side and back pockets for extra gear. There is even an external shock cord for extra capacity. The VaporAir is designed to best fit the male torso. It comes in three sizes: XS, S/M and L/XL; and is available in Nathan grey and Electric blue. Although it was designed for extreme long distance runners (the guys that find marathons too short) and races like the 50K, 50M, 100K and 100M, the Nathan VaporAir can be a useful piece of kit for “amateurs”. 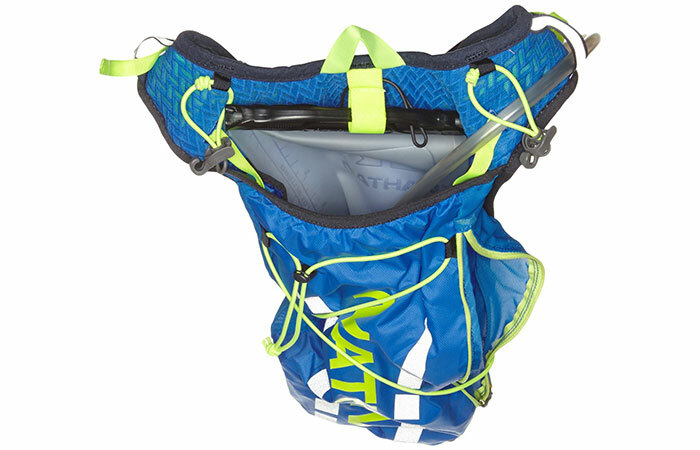 There’s no arguing with the fact that it is one of the lightest hydration packs out there and that can be a definite bonus if you’re going on a long distance run or trek.